3dcart Vs Shopify – Which is Better? So you want to start an ecommerce store. You’re either beginning from scratch or your migrating an existing venture. The first thing you need to find is a suitable platform. There are two top contenders: Shopify and 3dcart. Each offers its own strengths and weaknesses, and the two are constantly competing for new customers. 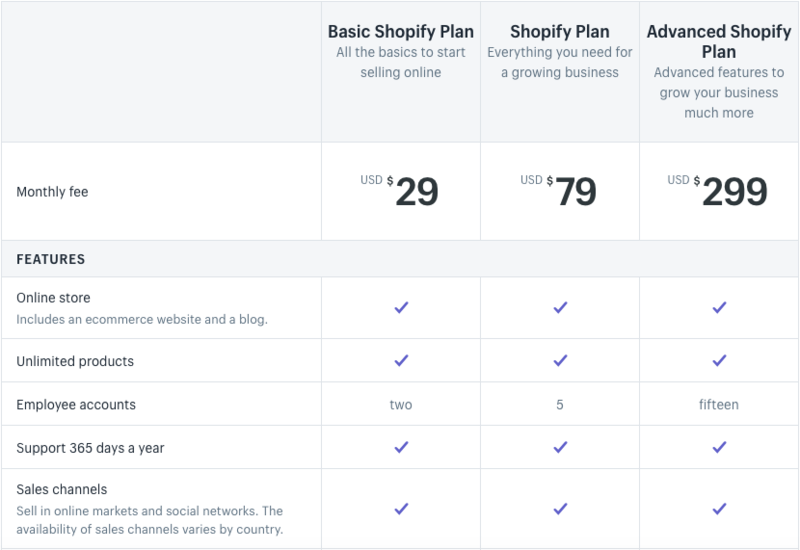 Both Shopify and 3dcart position themselves as all-in-one solutions, which means they strive to provide the whole package: site hosting, security, and analytics – all for a monthly fee. Each comes with tiered pricing, meaning you can find the solution that best fits your needs. 3dcart comes in the Startup, Basic, Plus, and Pro stores, while Shopify provides three tiers for its customers. 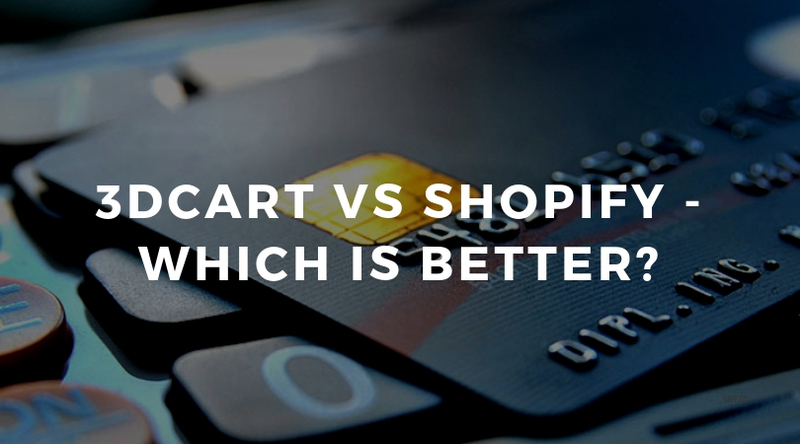 In reality, the price disparity isn’t that great between the two, but 3dcart’s Startup Store is a deal for those just beginning, and Shopify doesn’t offer a similar service. Likewise, 3dcart’s Pro Store is cheaper than Shopify’s Advanced option by $70, making 3dcart the winner again. However, if you’re in the mid-tier range, both services offer about the same product for around the same price. Both Shopify and 3dcart bring enough experience to the table that their basic stores function rather well. Shopify was started in Canada in 2006 and now hosts more than 600,000 stores worldwide. It has staked its claim on usability and affordability, and generally, the public seems to think they pull it off. Still, this usability has some drawbacks. It’s reliance on easy-to-use features means they often fail to add much advanced functionality, forcing users to add-on any additional features through applications and integrations. 3dcart, on the other hand, offers more features but misses somewhat on the ease-of-use. The tool makes good use of its setup wizard to help you build out your store and it offers a user-friendly dashboard. However, it just can’t keep up with Shopify’s intuitiveness. Shopify is the master at intuitive design. But that strength can also be its weakness. Thanks to its need to create the most user-friendly experience available, adding advanced features is difficult and requires additional applications. Still, it does include a rash of additional features including language capabilities, automatic shipping rates, abandoned cart recovery, and integration with Shopify’s Point Of Sale (POS) system. On the backend, it offers things like customer segmentation, dropshipping apps, various SEO tools, options for discount codes, bulk import/export capabilities, and more. While Shopify offers many great add-ons, 3dcart seems to have been able to fill in most of the gaps where its older competitor is lacking. Take, for example, these front-end features: customers can download digital products immediately after purchase, various checkout options, product images, automatic calculators, abandoned cart recovery, and the ability to include a blog on your site. While Shopify is renowned for its templates and themes, it only offers a handful of options on its Theme Store. There are currently 69 total themes available, 10 of which are offered free of charge. 3dcart, on the other hand, only offers about 46 themes, the majority of which come at a price. 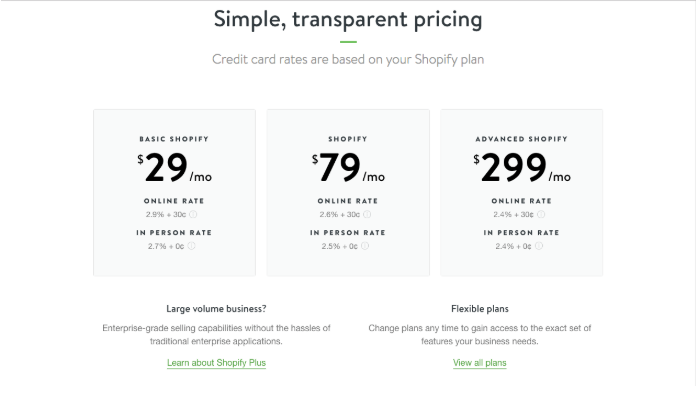 Additionally, Shopify’s paid themes begin at the lower price of $80 while 3dcart charges $99 or more for its premium themes. Despite 3dcart having more templates available, it seems prudent to give this win to Shopify because of the lower point of entry. It appears to have more free options and its paid versions begin at a lower price. Both services offer support via email, live chat and phone, 24/7. Shopify also offers a large amount of self-help resources including a community forum, videos, podcasts, and guides. There’s also the option to hire someone from Spotify to walk you through various stages of your store’s development. Still, online consensus about the quality of the support is mixed. They have been criticized for reading from a script and being generally uninformed, but others have found their advice helpful and useful. 3dcart also offers 24/7 support via email, live chat, and phone. It also has video tutorials, webinars, a support forum, and e-university courses. Here too we find mixed reviews for 3dcart’s team. There are complaints about delays in response time to live chat, but generally people seem content with the response from phone calls and web tickets. Of course you can’t have a successful store if you can’t process the payments you receive from your customers. Both of these platforms give you that ability. But when you dig deeper into their offerings, there are some big discrepancies. 3dcart has no transaction feeds on any of their plans, though the standard transaction fees of the gateway you choose will apply. Similarly, Shopify has no transaction fees. Shopify’s in-house payment solution is called Shopify Payments. If you choose this as your gateway, Shopify will wave their additional transaction fees. However, it’s not available in every country. The service also has many complaints online. While 3dcart integrates with more than 100 payment gateways, it does not offer its own payment solution. This is why the company avoids transaction fees for third party payment processing. Whether it’s because of its pricing system or its payment processing integration, 3dcart ekes out a win here. Still, both companies are strong contenders with a lot to offer. It won’t be surprising if Shopify begins offering new features in the near future and edges past 3dcart. We’ll have to wait and see. The important part is that each solution comes with a free trial period. So do your research, find the best fit, and begin working on your ecommerce site today.